Amit and Jinita were some of the proudest parents I have ever seen! They are so smitten with little Arjun. They were affectionate, sweet, and honest about adapting to being new parents! 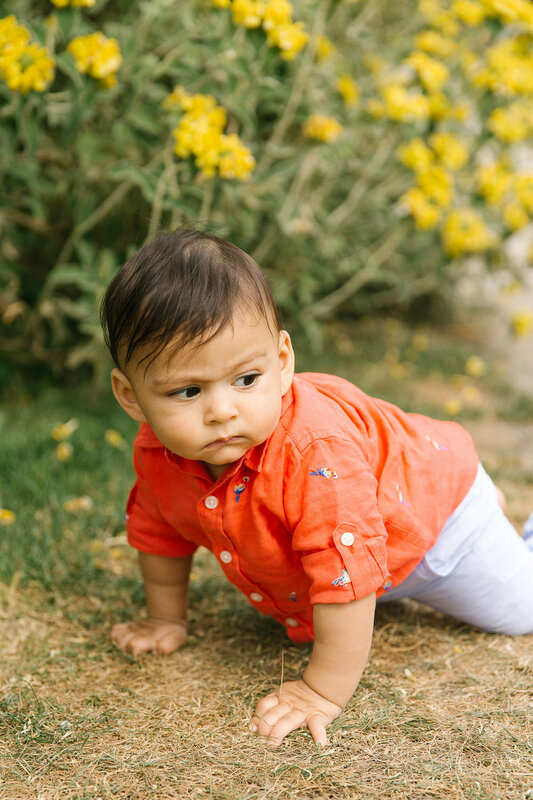 We took their family pictures outside in Bellevue Botanical Gardens and had so much fun. I loved how they didn't shy away from color, but fully embraced it. 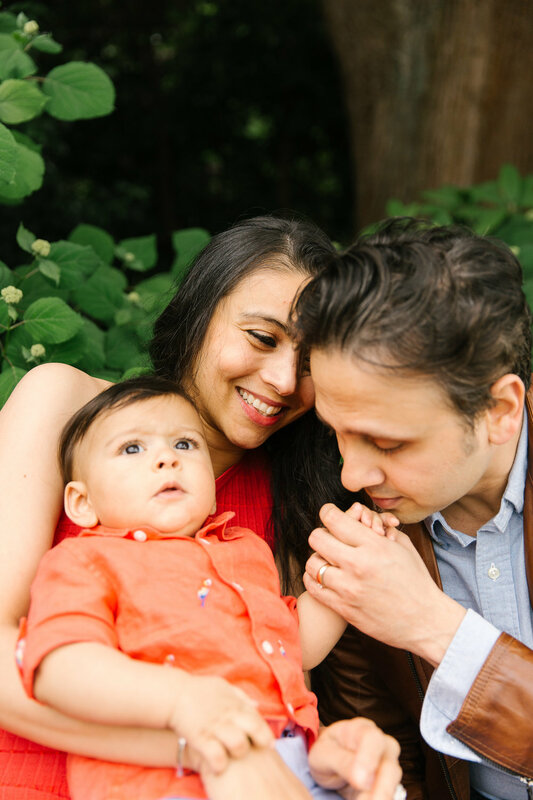 While Jinita nursed Arjun, Amit showed me all of his family photos that he takes and I loved it! I can pour over someones family photos for hours. I have always loved to. Anyway, enjoy this cute and happy family!